While the private school I attended did not have cheese zombies on the hot lunch menu, so many of my childhood friends have a soft, cheesy spot in their heart for this throwback cafeteria lunch favorite. Back before cafeterias had to count calories, elementary schools across the country served cheese zombies to hungry kids. I’d heard stories, seen pictures, and perused old recipes. I couldn’t resist the pull of the cheesy ooze any longer. 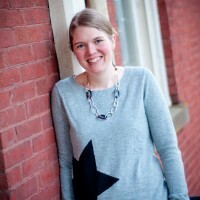 I HAD to make these for my kids…..and I’m glad I did! I finally understand why these were so popular. 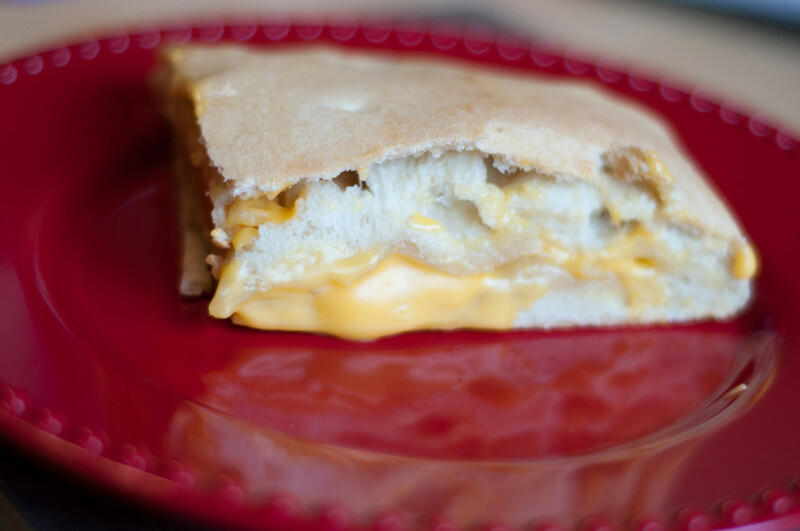 Cheese zombies are like a a grilled cheese calzone – full of melty, oozing cheese. 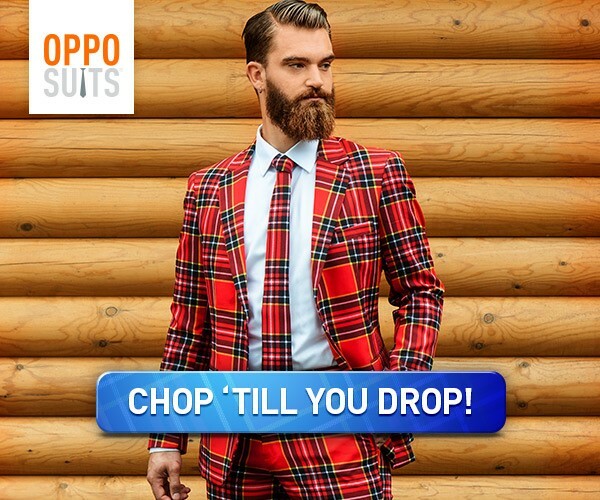 It’s easy to understand why these were so popular. Dough * You can make your own if you wish. I love my dough recipe featured in this post. 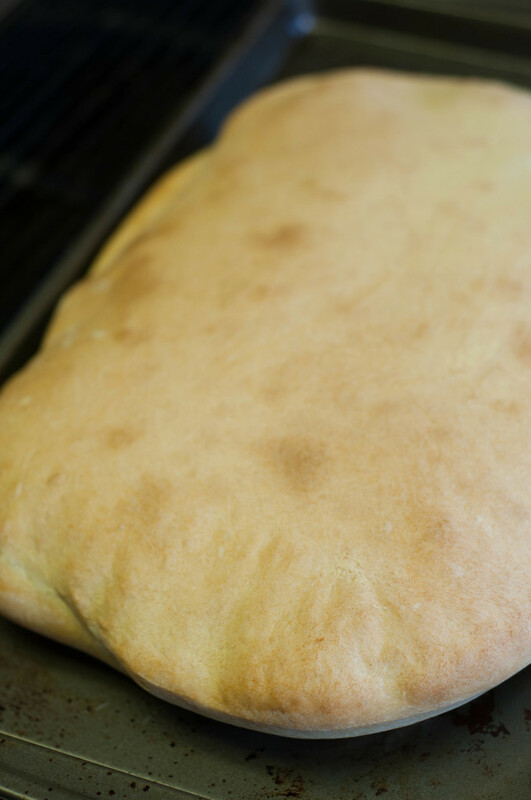 You can also use thawed Rhodes bread dough, tube pizza crust, etc. I purchased two balls of pre-made pizza dough from my grocery store. Cheese *While some prefer to use “real” cheese, I don’t like it in this recipe as it doesn’t melt the same way or have the creamy and smooth texture of an American cheese. Preheat your oven to 350 degrees. Spray a cookie sheet with cooking spray. 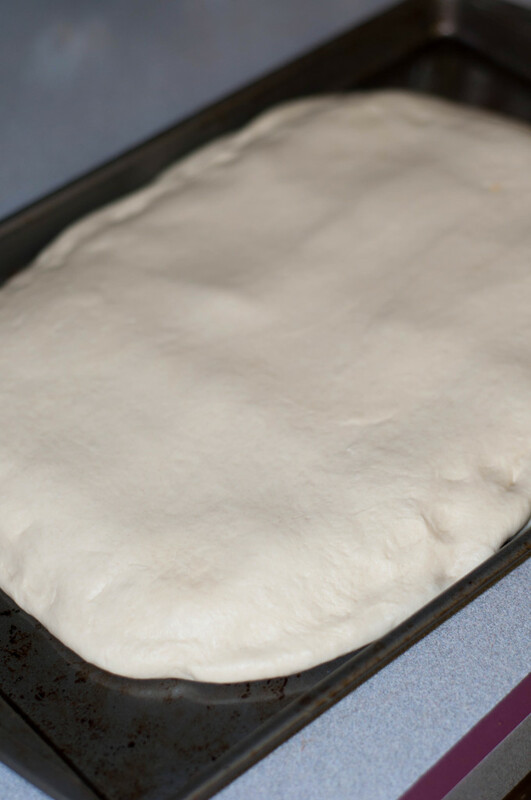 Start by rolling out one of the pizza crusts or loaves of thawed bread dough. Roll it out to the length/width of the cookie sheet. 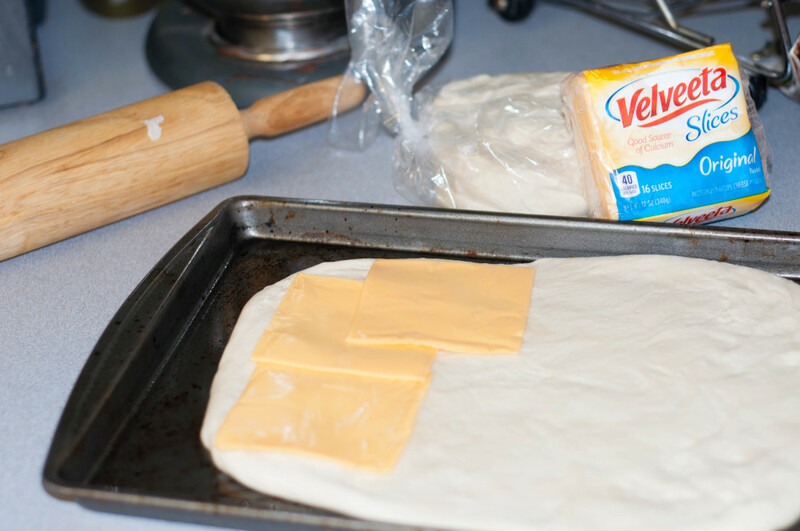 Begin to cover your dough with pieces of cheese. Use as much cheese as you like. 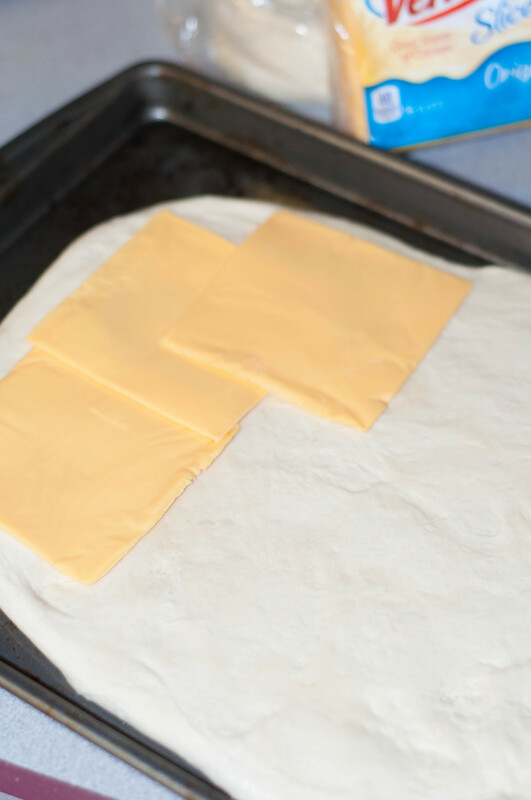 Once the dough is covered in cheese, roll out the other piece of dough and lay on top, pinching the sides together to seal. 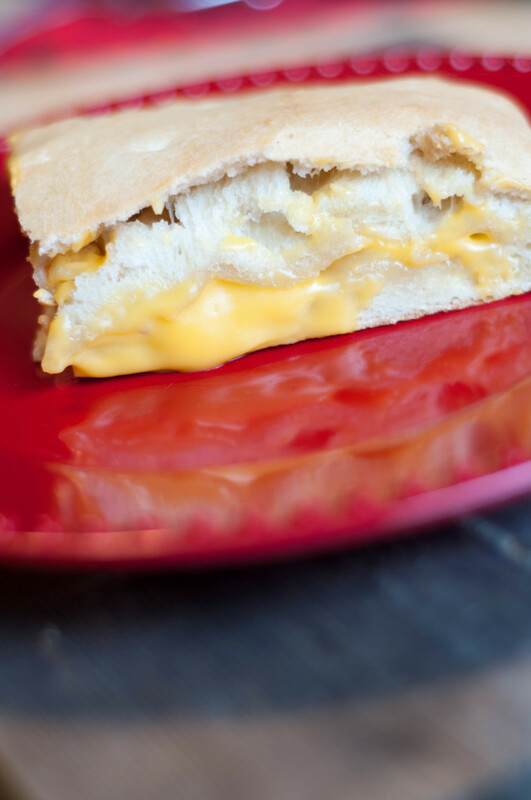 Allow to cool for several minutes, and then slice into this cheese-filled wonder. The cheese WILL ooze out in a wonderfully melty way. This was a hit with all four of my kids, and they are already asking for this to return to our Homeschool Hot Lunch Menu. Relive your elementary school-lunch days or give something new a try. Happy baking. I’ve never had these before but they look very yummy. I had heard my kids talk about Cheese zombies before but never really new what they were. I will have to make these. I love this new take on a cheese sandwich. I agree that “real” cheese just doesn’t cut it with creaminess which is why Velveeta is always one of the cheeses in our Mac & Cheese.